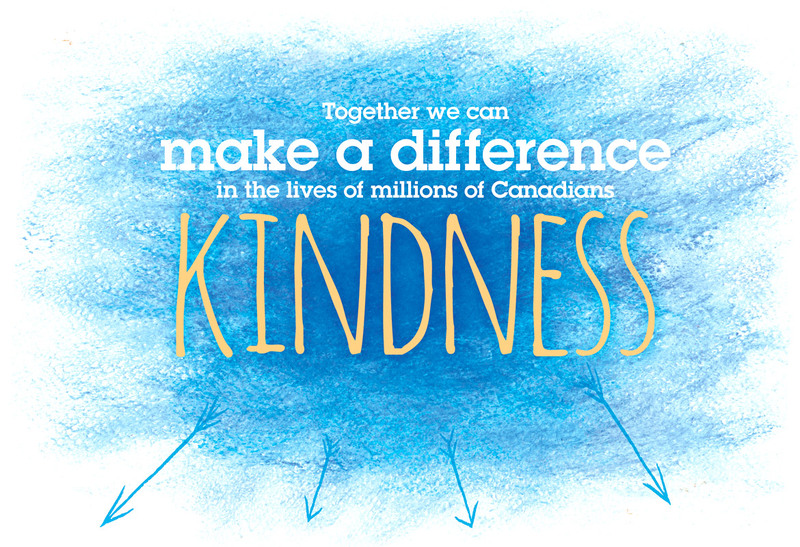 We believe kindness can make Canada an even more caring, generous and vibrant country. As a national not-for-profit charitable organization, our goal is to engage and inspire Canadians to create a pervasive culture of kindness from coast-to-coast-to-coast. lives and is effective addressing issues such as bullying in schools, absenteeism and presenteesim in the work place, wellness and mental health. Scientific research demonstrates that kindness is physiologically necessary to live a full, productive and happy life. Read on to find out about these important findings. Through engagement and outreach programs we will increase knowledge and foster learning about the skills and tools that build healthy, kind relationships. Increased social responsibility is personally rewarding. We will empower people to embrace the values of kindness, such as empathy, respect, gratitude, and compassion, to enhance the social consciousness of Canadians. engagement, volunteerism, and charitable giving to enhance communities for the benefit of all. We are working with the Provincial Ministries of Education and Health, and Boards of Education, to improve student well-being and mental health by integrating kindness as a daily practice in schools. We are working with businesses and government to cultivate a culture of kindness in order to increase employee engagement, retention and productivity, and reduce stress and absenteeism. Our work in the healthcare sector will introduce a kindness philosophy toward patient care and employee job satisfaction, and enhance the service delivery model.